It’s finally feeling like spring here in Chicago and I want all the spring things. I want bright colors, I want sunshine, sunglasses, windows down (only while the sun is out!) and I want fresh fruits and veggies. I love fall and winter, don’t get me wrong, fall is my favorite season. But this is the time of year when I can’t take anymore squash or root vegetables. I just need a new season for a shift in the winter veggies. So, for now, until all the beautiful produce comes back into season here in Chicago I’m relying on frozen berries to give me that fresh feeling! 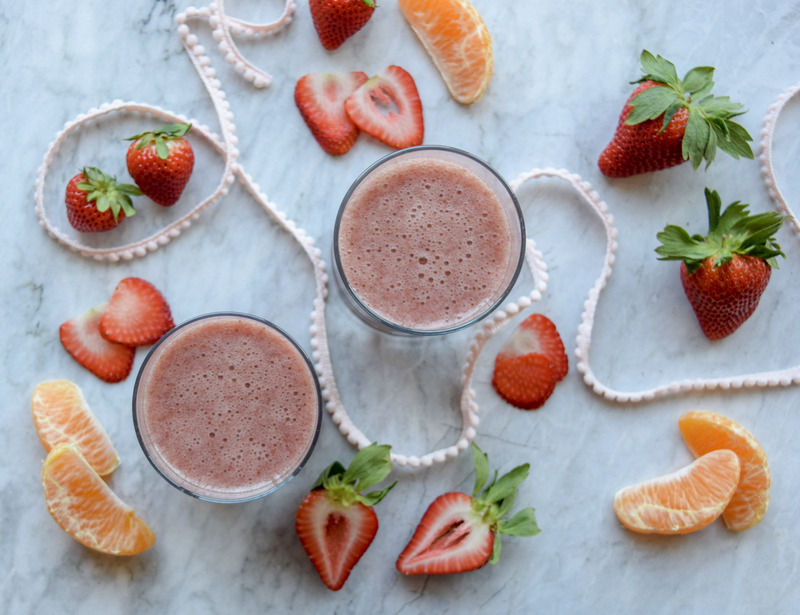 This smoothie is so simple, so tasty, so light and so genius……strawberries, banana, orange, water and the secret ingredient: CAULIFLOWER. 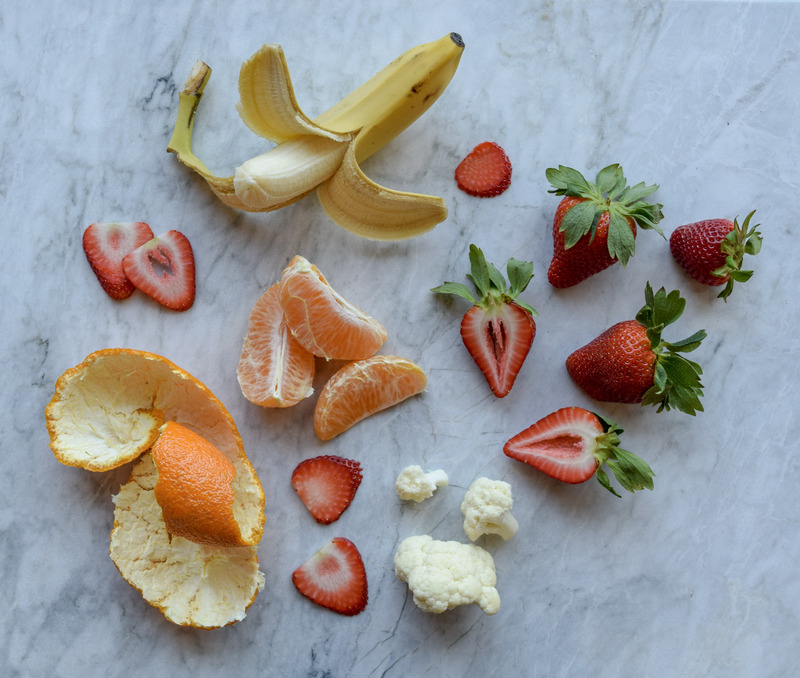 I promise this doesn’t taste like cauliflower, I promise its sunshine in a glass and I promise it will make your mornings easier to have some happy little jars filled with this tasty smoothie to grab and go! 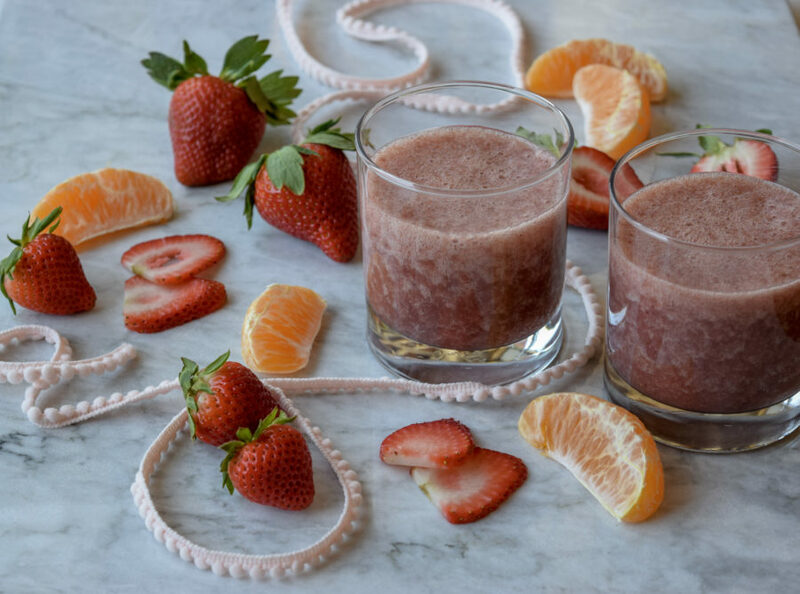 Pour into mason jars for easy morning breakfast on the go!